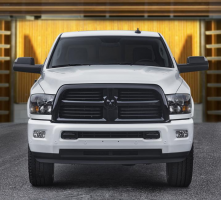 More than 228,000 Ram trucks might suddenly roll away, even when the key isn’t in the ignition. The problem is caused by pins in the brake transmission shift interlock (BTSI) that stick open in higher temperatures. Fiat-Chrysler is expanding a previous recall of 1.8 million vehicles to include trucks with column shifters that were built between 01/01/2017 and 01/10/2018.